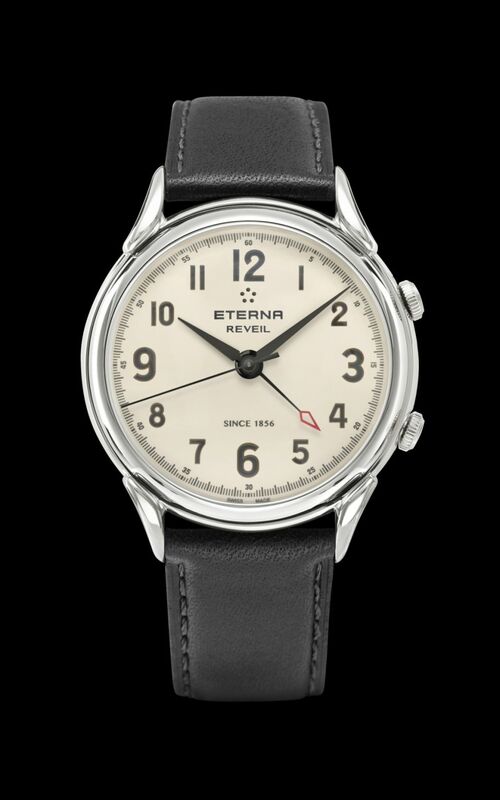 Eterna launched a new retro inspired model powered up by the brand’s NOS movement from the late 1940s. The stainless steel case measures 40mm x 12.4mm. The traditional lug design and domed sapphire crystal nicely match with the retro character of the watch. The dial is finished vintage white eggshell color with contrasting black Arabic numerals and black hands. The hand assigned for the alarm function sports a red tip. Movement is the Swiss manual-wind N.O.S. 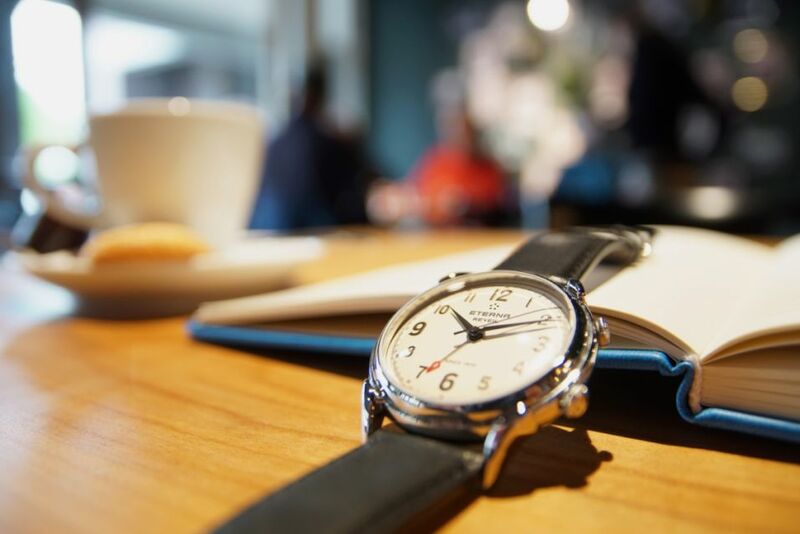 Eterna Caliber 1475 with a power reserve of 46 hours and an alarm complication. It comes on a black calf leather strap with a steel pin buckle.